Our goal is to build Greene County as a destination and stimulate our economy by promoting the businesses, attractions and scenic natural beauty that make us unique. 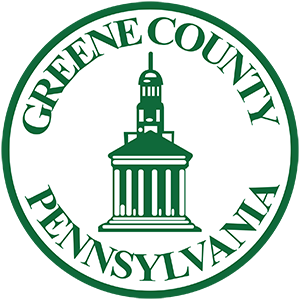 All Greene County Tourist Promotion Agency (GCTPA) partners are listed in the Greene County Official Visitors Guide which is distributed at 15 Pennsylvania Welcome Centers, tourist promotion agencies and convention bureaus across the state, Greene County hotel and motels, and Greene County brochure centers. Additionally, we mail out over 3,000 copies by request to inquiring visitors across the country and internationally. Partners are also listed on our website with direct links to their websites and social media. When the GCTPA is contacted for area information by visitors, residents and media, we refer them to our partners first. The GCTPA helps promote Greene County through social media, weekly e-blasts and online marketing. Let us know about your events! Our partners’ events are promoted and publicized by the GCTPA. GCTPA Partners have special access to grant funding for their tourist-related projects. Grant information and availability is released at the beginning of the year. Advertising can be expensive for an individual business and organization. We make it affordable for our members through co-op advertising in regional and statewide publications. To partner with us, complete the form below or download the PDF file.